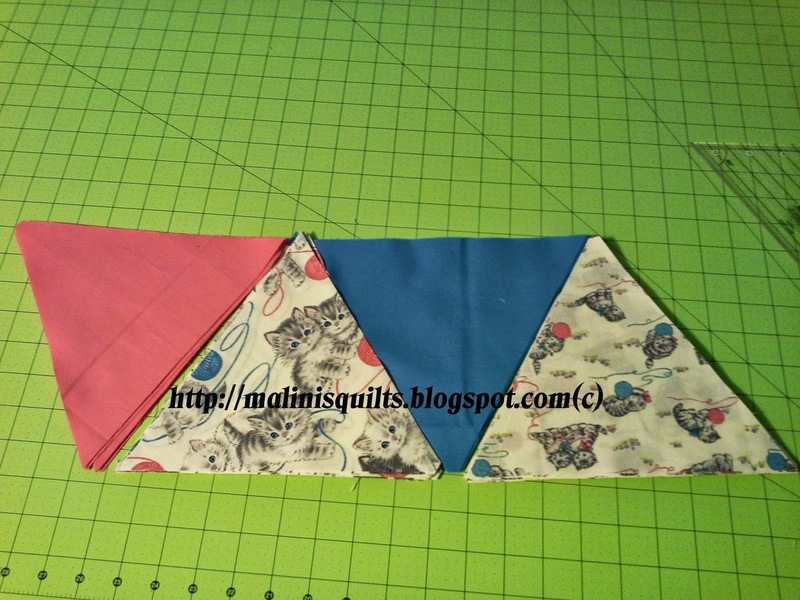 I have been wanting to make the triangle quilt for more than a year now. When I saw the Triangle Quilt along while reading one of the blogs. I had just jump in, I know I am starting yet another project. But couldn't resist with all the cute fabrics I acquired in the last few months. Still thinking should i combine these two fabric lines. What do you think? I am still cutting the triangles, I will upload more pictures as soon as I have the rest of them all cut. Tip: Make sure you use the same ruler to cut all of your triangles. I once cut a triangle quilt using two different rulers and nothing would line up. These are going to be so pretty! 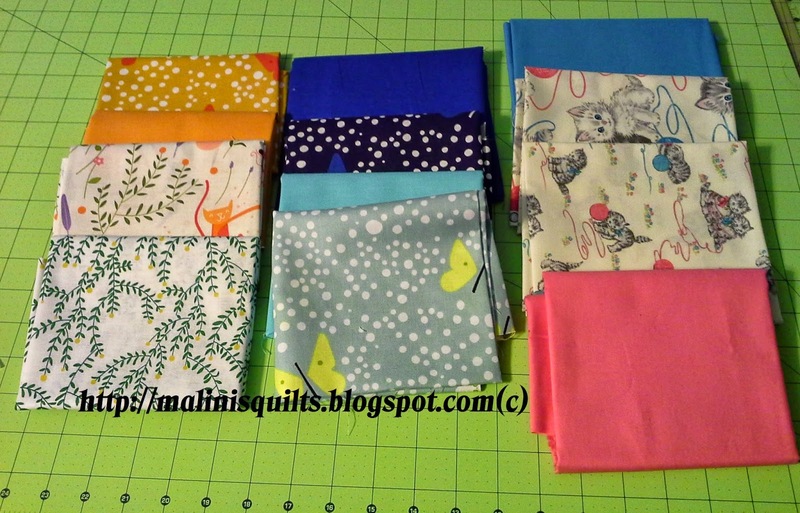 Love the kittens and butterfly fabrics you chose, Malini. Glad you are quilting along! W.I.P Wednesday - April Snow?